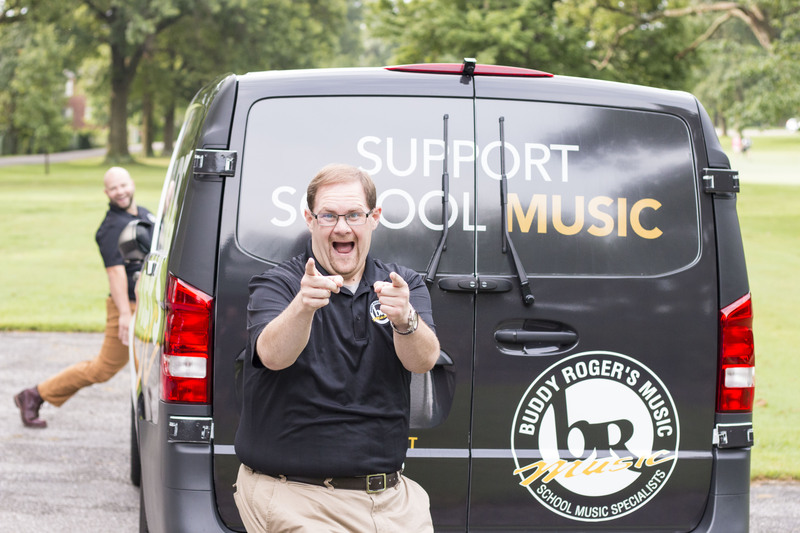 Buddy Roger’s Music is the leading educational music specialist in the region with a full time staff and department dedicated to servicing the specialized needs of the school band department. Educational Representatives visit most of the schools in our region on a weekly basis to bring our store right to your doorstep. Our representatives are all knowledgeable and experienced musicians trained in music education. Professional Repair Service is the foundation of our school service with full time, in house repair technicians. Our Comprehensive Maintenance Plan for student, professional, and school-owned instruments was one of the first in the nation and has grown to be a major factor in controlling repair expenses for schools. Free Delivery & Pickup of repairs and products at your school makes the process more convenient. Loaner instruments are usually available for our customers when needed while theirs is being repaired. Complimentary Supplies help teachers manage and extend limited budgets. Each year we donate over 30,000 band folders alone to give students a place to protect and carry their music. Supporting Music in our Schools has been something Buddy Roger’s Music has enthusiastically embraced through ongoing education, lobbying efforts through our national organizations NAMM, NASMD and through participation in local, state and national music coalitions. Community Support is important and we are proud of our support of hundreds of musical activities in the schools, major community musical events and musical organizations.